JEONGSEON, South Korea — Over coffee last November at Lindsey Vonn’s home in Colorado, Sofia Goggia of Italy asked her friend for some advice. How does she handle the pressure? How does she deal with the expectations? Vonn didn’t hesitate to answer. An honest answer, and one the new Olympic downhill champion seemed to take to heart. “It probably helped her (win),” Vonn said with a wry smile. Maybe, but on this brilliantly sunny day on the slopes at Jeongseon Alpine Centre that seemed OK to Vonn, too. Just getting on the podium herself with her family there to watch seemed like a win by itself to the American who dominated the slopes for so many years. At the age of 33 there aren’t too many downhills left for Vonn. As much as she was hurting after this one, she savored what will almost surely be her last Olympic medal, even though she will race again Thursday in the combined. Yes, the medal was bronze. But the moment was golden. She was skiing in memory of her grandfather, who passed away a few months ago. She was skiing for her family, including her father who was not in Vancouver for her last Olympic run when the two were estranged. 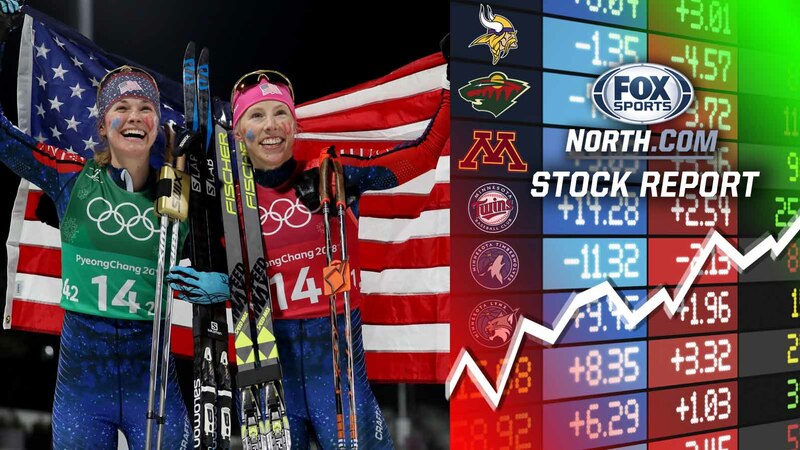 She was skiing again for America, draping herself in the flag afterward after being bullied online for saying she would not accept an invitation to the White House after the Games. Mostly, though, she was skiing for herself. It’s not quite the end of the line for Vonn, but the line is in sight. Her body has been beaten down by so many crashes, so many spills, and so much stress that the next World Cup season could be her last. She was the first American woman to win gold in the downhill, romping past the field in Vancouver eight years and what seems like an eternity ago. To return after missing the 2014 Olympics while rehabbing a torn ACL — one of two Vonn suffered — was a feat all by itself. But to bring home a medal — the oldest woman to ever medal in the downhill — made it all worthwhile. Vonn fought back tears afterward trying to describe it all. There would surely be even more tears afterward when she reunited with her family, who all came to watch. Winning a final Olympic downhill gold was always going to be an uphill climb for Vonn. She and Goggia had traded World Cup wins all season, but the younger Italian was building confidence with each race. When the Italian got up for the early race, that confidence was at a peak. Goggia was fifth out of the starting gate, and turned in a near perfect run. Vonn was two places behind her, and just couldn’t match the pace. Her silver would turn to bronze when Ragnhild Mowinckel of Norway turned in a surprise silver-medal run as the 19th racer on the course. To Vonn, it was as good as gold. There’s an outside chance she’s not done, though the bookies in Las Vegas would be wise not to lay down a line. Vonn races in the combined on Thursday without having really trained for the slalom part, and even she admits it would take a miracle to get a fourth medal to go with her four Olympics. “It’s a longshot,” she said. Her Olympic experience — which began 16 years ago in Salt Lake City — will soon be over. She plans to continue racing, but can’t possibly see an Olympics at the age of 37 with the toll it has taken on her body. But the last one was special, and in so many ways.